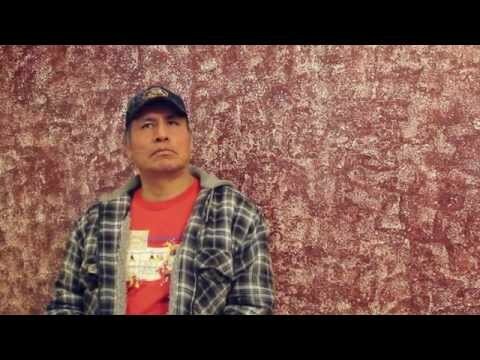 Knife Chief Buffalo Nation, a grassroots project on Pine Ridge Indian Reservation, South Dakota, works to reclaim 1800 acres of ancestral lands for restoring buffalo, and Lakota culture and lifeways. 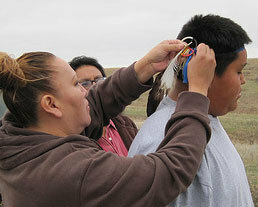 Home to 26,000 members of the Lakota Tribe, the Pine Ridge Reservation, South Dakota, is the 2nd poorest US county. Currently a majority of reservation land is leased by the US government to non-tribal members, with tribal landowners only receiving 50 cents to $3 an acre/year. 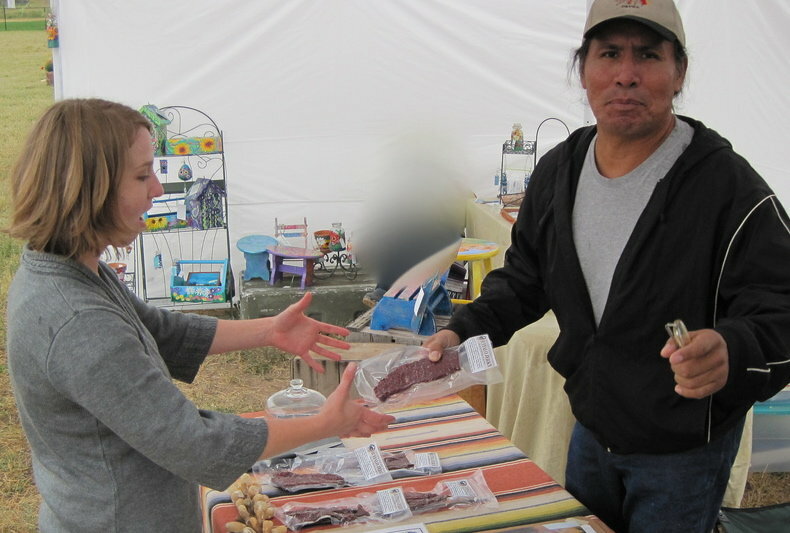 Reclaiming large acreage and restoring buffalo connects the Lakota with our ancestral lands and reintroduces our youth to cultural traditions and the buffalo while increasing our food and economic self-sufficiency. Protecting 1800 acres for buffalo restoration involves building 7 miles of fence & installing 2 windmills for pumping water. 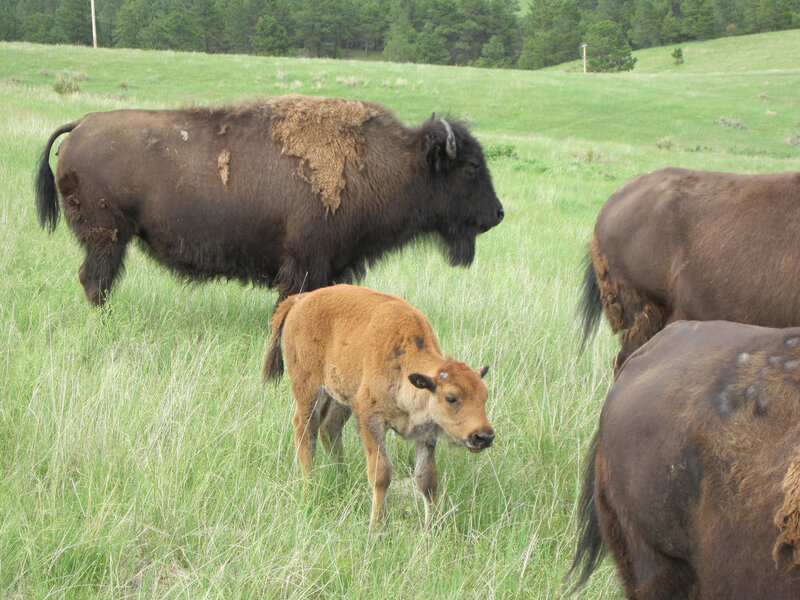 This increases our herd by 45 buffalo and employs 12 tribal members during construction, and 3 permanently. A larger herd means distributing 2800 lbs of meat to our elders and for use at our community programs, and generating an additional $21,000/year. 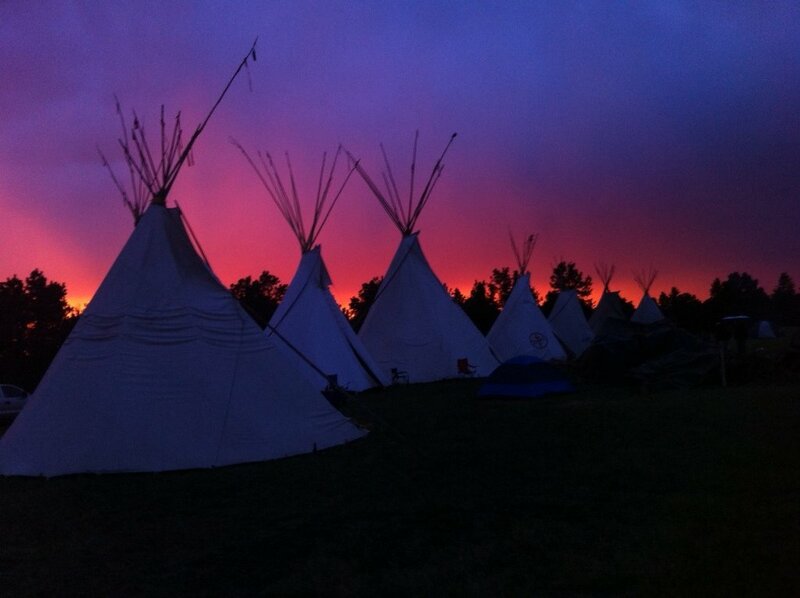 Hosting Cultural Camps reconnects dozens of youth each year to cultural and lifeways programs led by our Lakota elders. Buffalo reproduce each year (90% success rate). 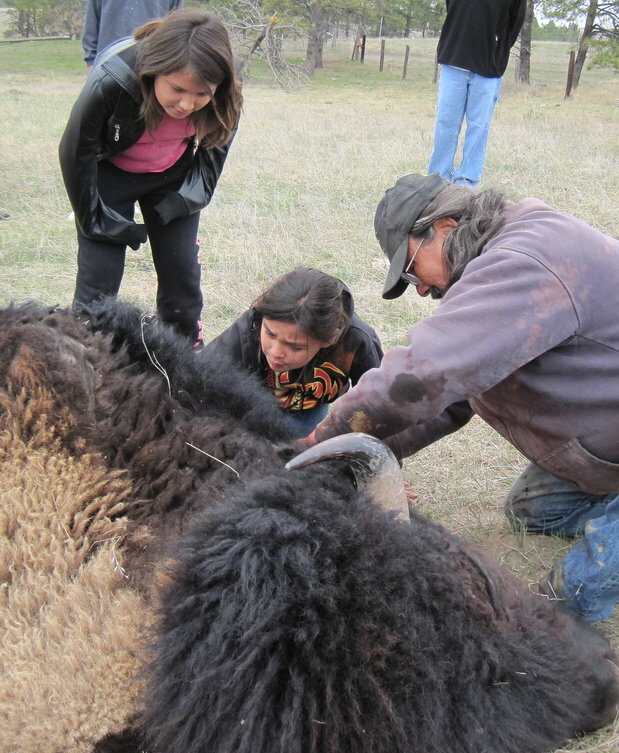 More buffalo means more income and more youth connected to our traditional lifeways. With the needed capital, we can reclaim more of our ancestral lands from non-tribal leasees. Restoring the vital dynamic between our land and culture can, over time, build a viable, sustainable economy based on our remaining natural resources, which in turn, creates more self-determination and resiliency.